AMTECH Flanged end Needle valves are specially made for general instrumentation services to be used for process industries. Our needle valves are very high quality precision machined, regulating and shut-off valve. 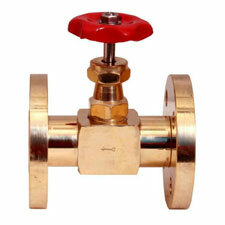 The compact, reliable and unique designed features within the valve enable it to be used for the most services. MATERIAL OF CONSTRUCTIONS AISI 304 ,AISI-316(CF 8 M), AISI 316 L (A 351 CF3,CF3M ), GUN METAL, ALUMINIMUM BRONZE, HAST ALLOYS, CARBON STEEL,FORGED CARBON STEEL-A 105.